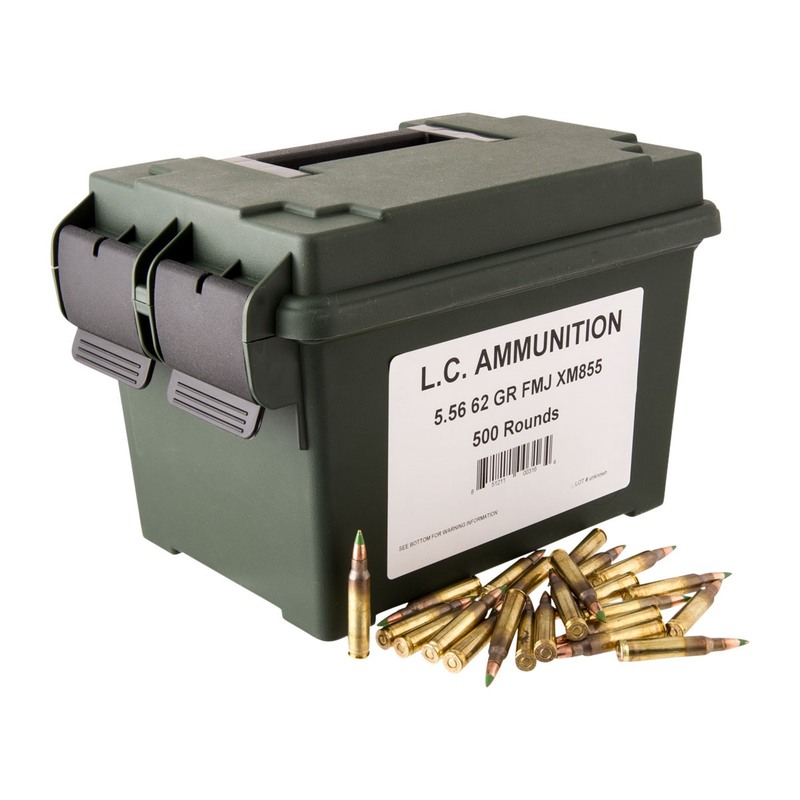 Bulk-packed, new-manufactured 5.56x45mm NATO ammo has a 62-grain SS109 bullet with a green-painted steel "penetrator" tip over a lead core with a partial jacket. Loose/Bulk packaged in an MTM 45 cal. ammo can. Ammunition is Manufactured at the Lake City Army Ammunition Plant to Federal Cartridge Company specifications for military ammunition. The boxer-primed, reloadable brass case is headstamped with the Federal symbol and date of manufacture (military crimps should be removed before reloading). Water-resistant lacquer-sealed primer. Every cartridge is visually inspected before packing. 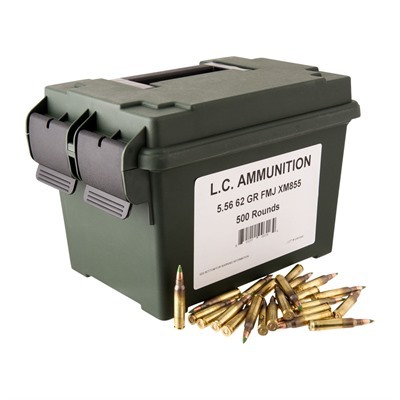 For use only in rifles with chambers designed for 5.56x45mm ammunition. Some ranges prohibit steel core ammunition; check your local range rules and regulations.